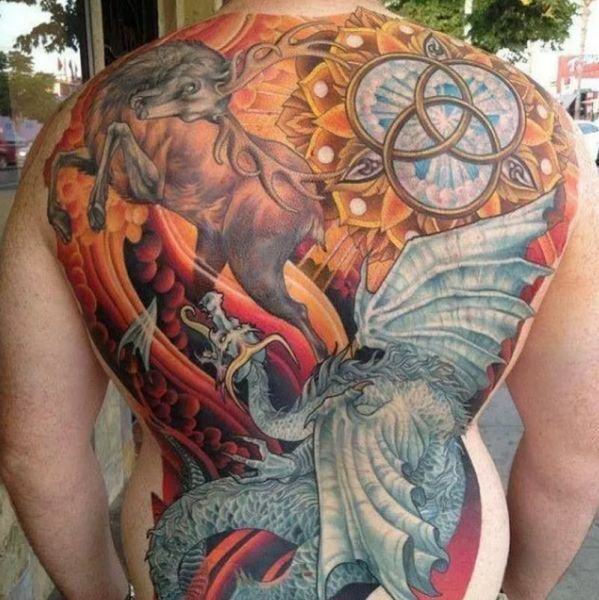 The epic battle of the seven kingdoms is a great full back tattoo inspiration. This tattoo not only looks colorful but also consists of all the various characters that took part in the battle. The symbolic three interconnected rings, the dragons and the horse with horns are all part of this magical tattoo design. The beautiful connection shared between Dany and her dragons is not only shown the GOT series but even in the tattoo inspirational ideas as well. In this tattoo, the finely designed Dany tattoo along with the dragon face is something that all the Dany fans can go for. The inspiration of the lone wolf, the north remembers is a nice idea if you do not want to go for something too big. 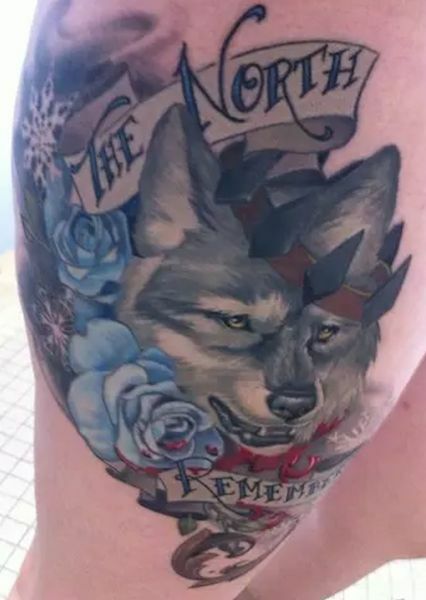 In this tattoo idea, it has a beautiful picture of a wolf with a banner that states The North. The blue colored flowers along with the fine lines of the artwork are the main points of attraction. Let your love for dragons reflect on the thighs of your legs. You can choose to take different angles of the flying dragon and get the design done up. Another popular tattoo inspiration from GOT is the three-eyed raven. For this tattoo idea, a raven stands on top of a skull that has the mark of the dragon. On one side of the skull, there is a nice big blue colored rose with a single leaf. On the other side, there is one complete and one-half blue colored rose. This is a great idea if you want to get a tattoo done on your arms. 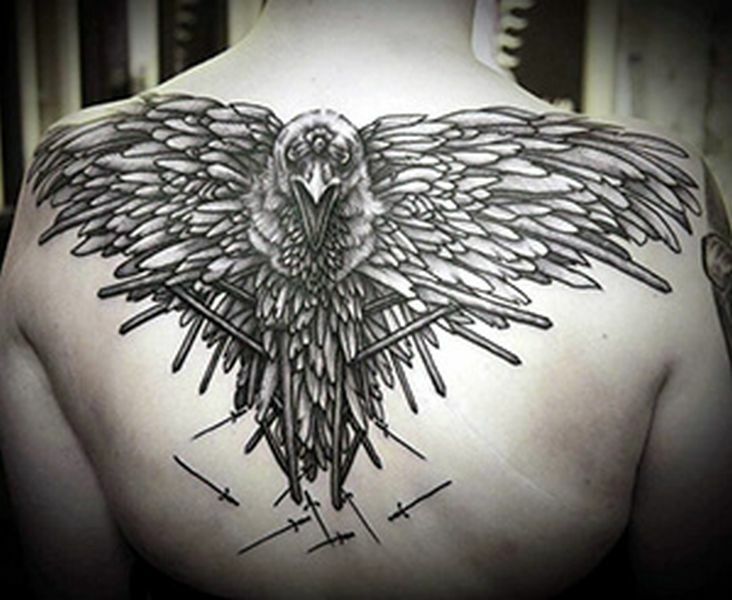 In another three eyed raven tattoo version, the design has a combination of the feather wings, the face of the three eyed raven and small swords. This is a good tattoo design that you can choose to get on your shoulders.